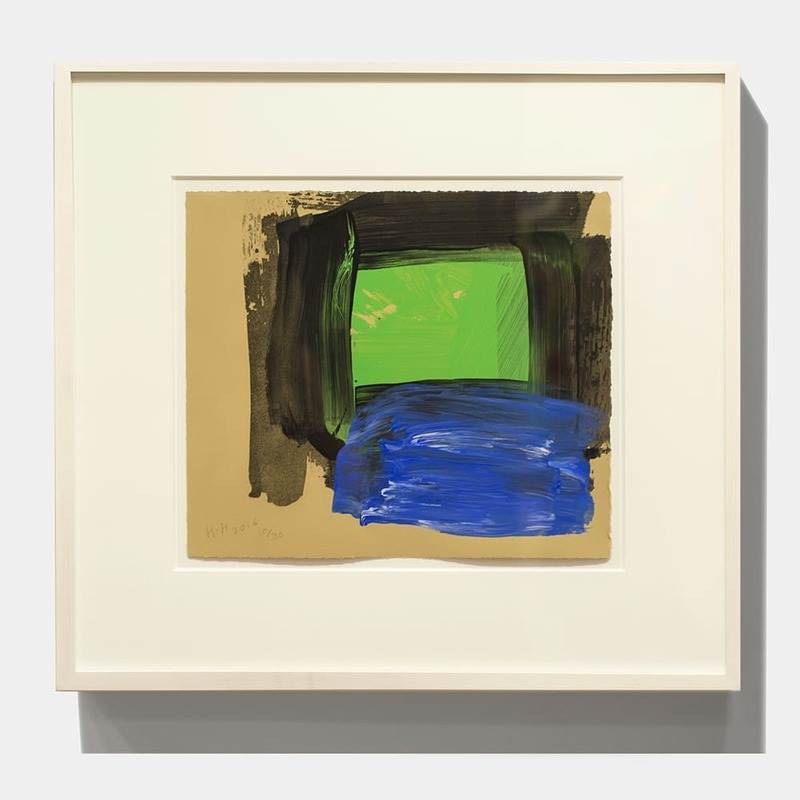 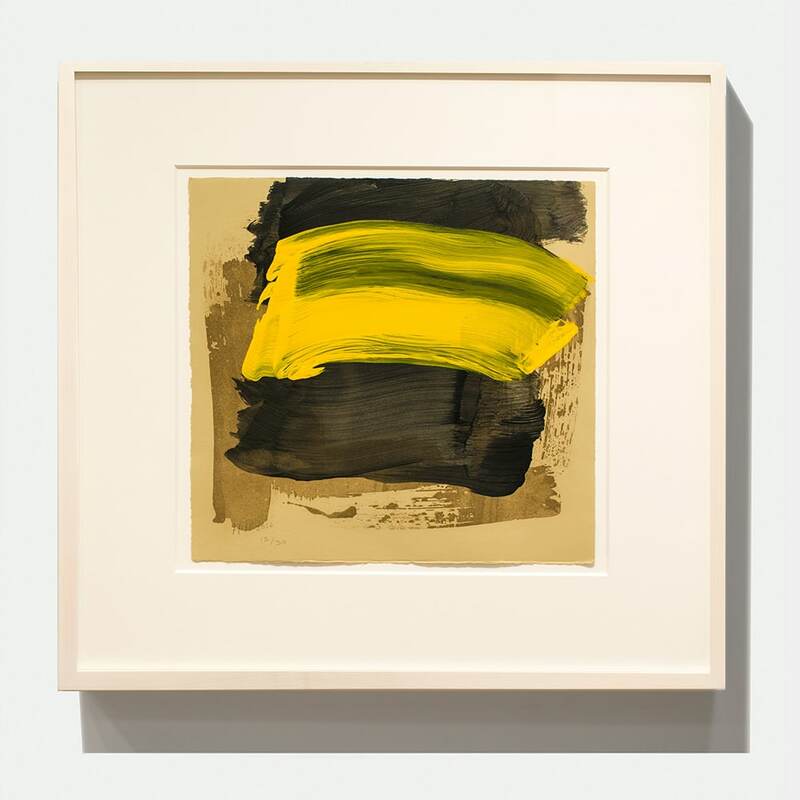 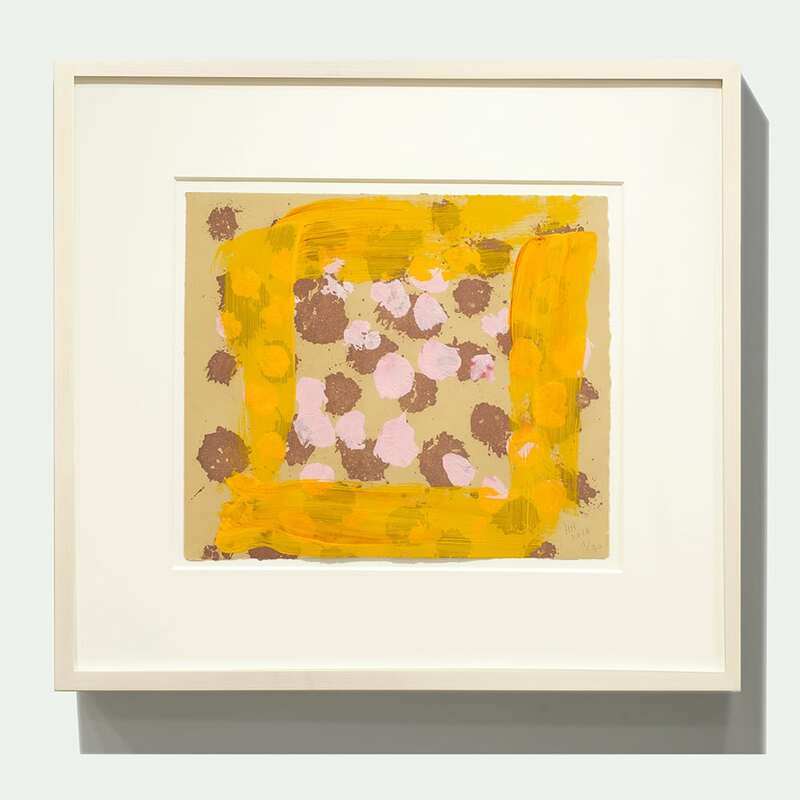 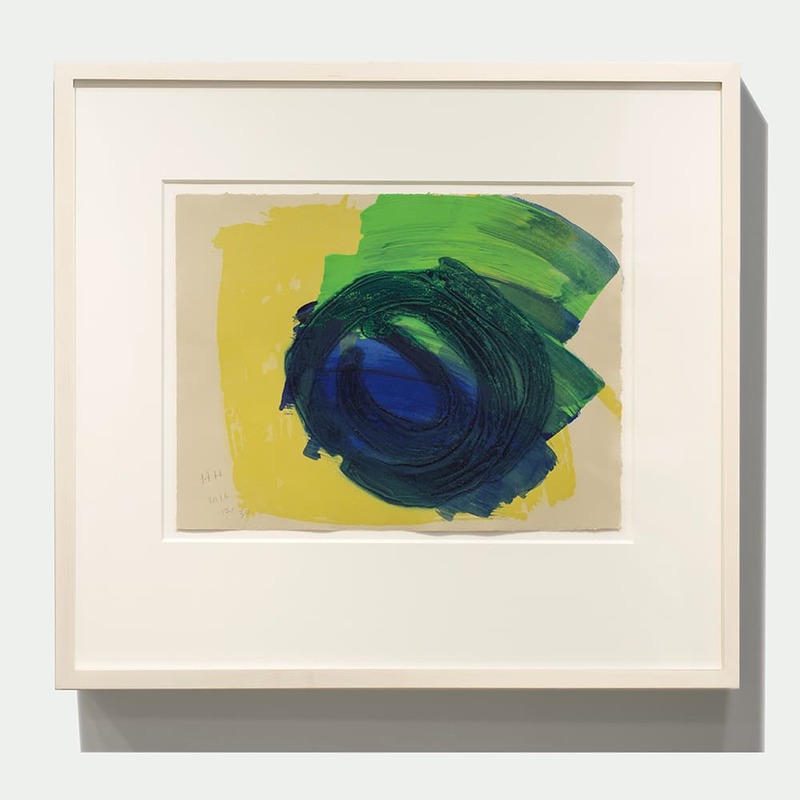 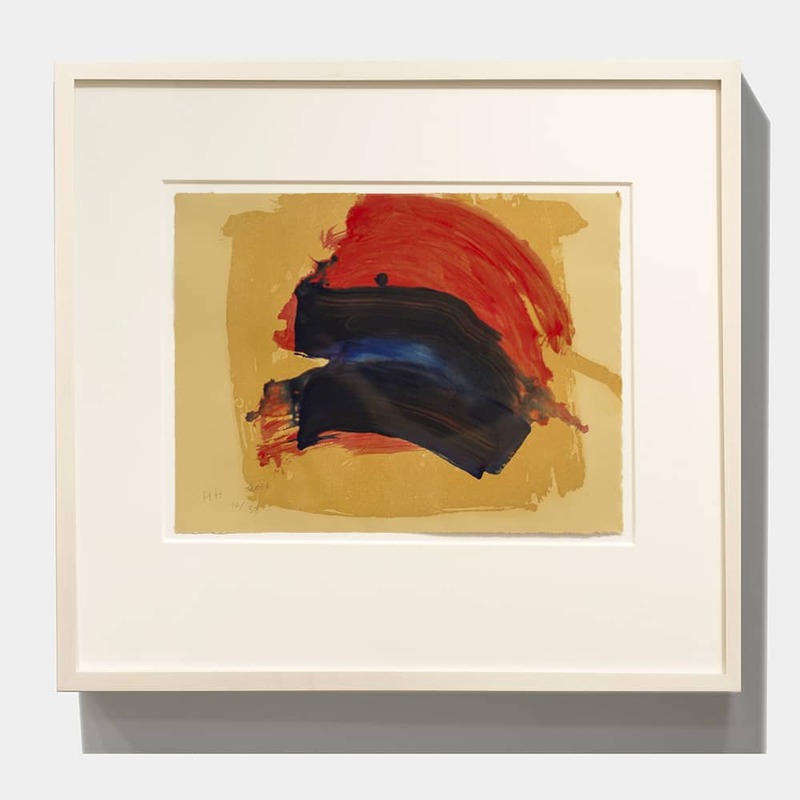 Howard Hodgkin’s final body of editioned graphics, After All, is an extraordinary group of hand-painted etchings which have been likened to a series of Haiku poems. 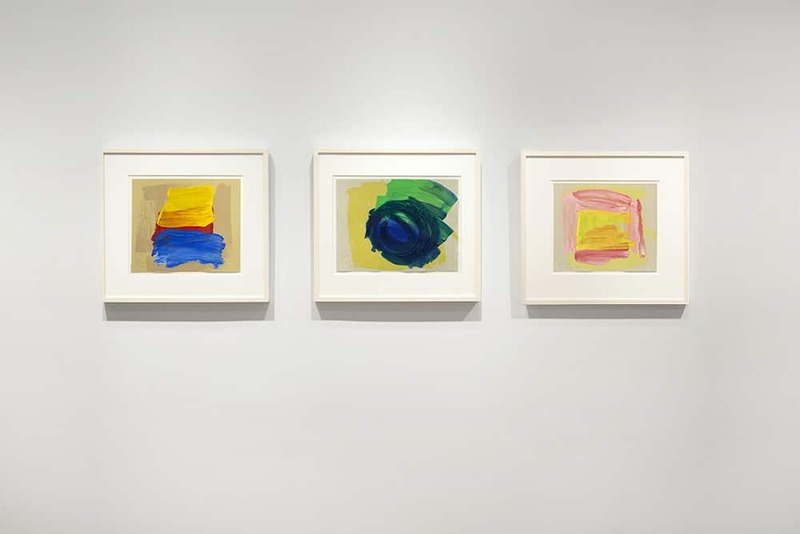 Each graphic within After All speaks to a particular time and place, using the language of color, gesture, and form. 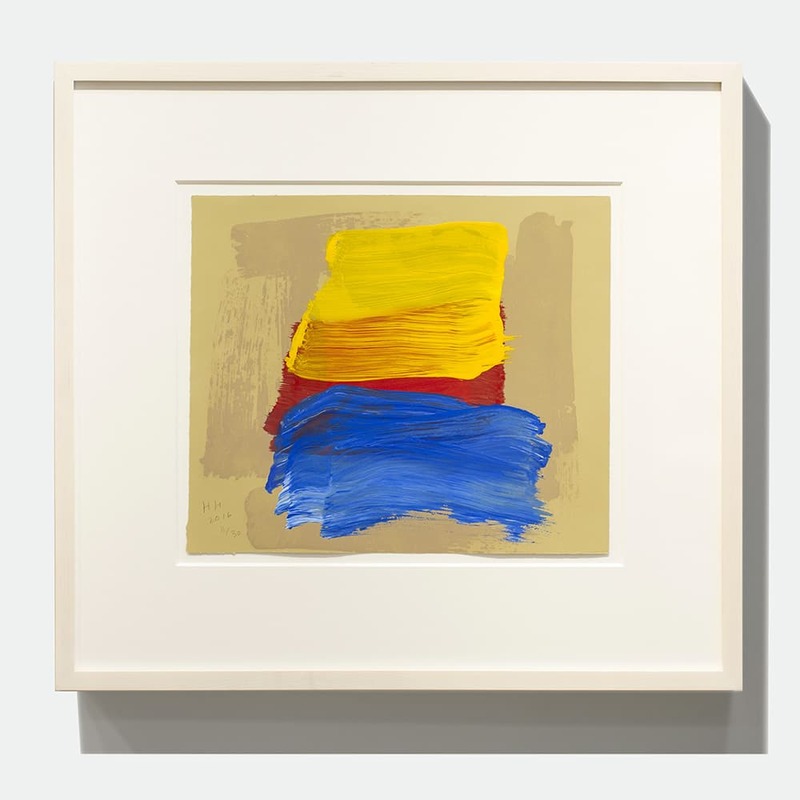 In these poetic objects of thought, Outspoken, Springtime, Late Autumn, Coast, Raspberry Crumble, Dark Rainbow, Surprise Surprise, Absolutely, and A Pale Reflection, Hodgkin reminds us of the impact of these simple human experiences from a trip to the seaside to indulging in a favorite pastry. 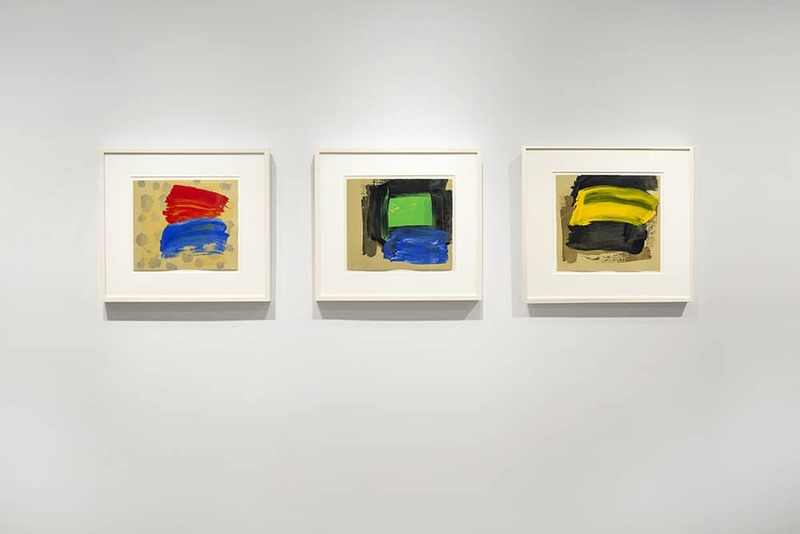 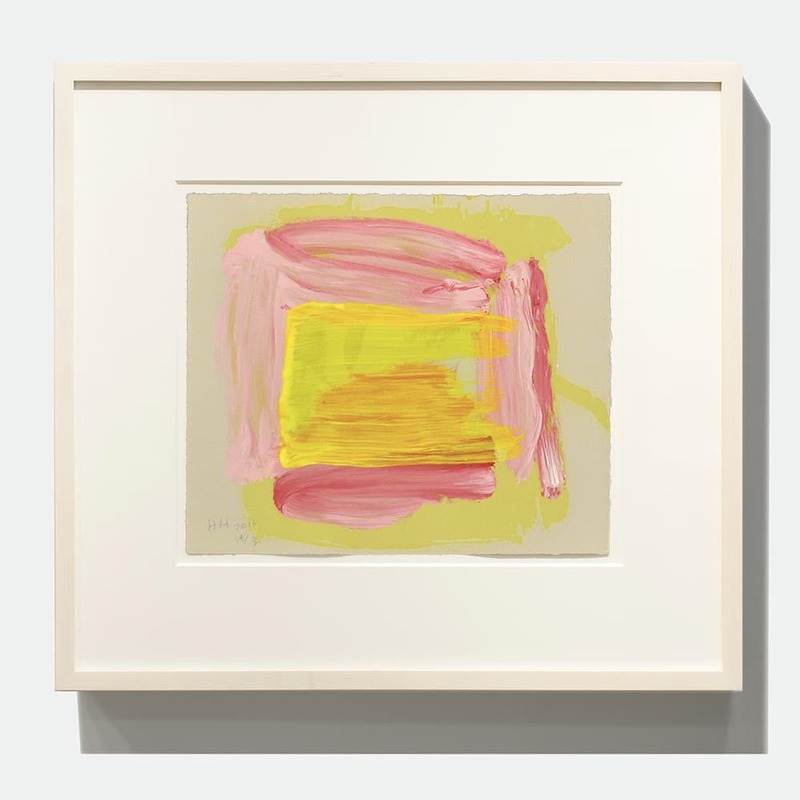 The series reflects Hodgkin’s boldness and intensity, mastery of scale, and willingness to display raw emotion. 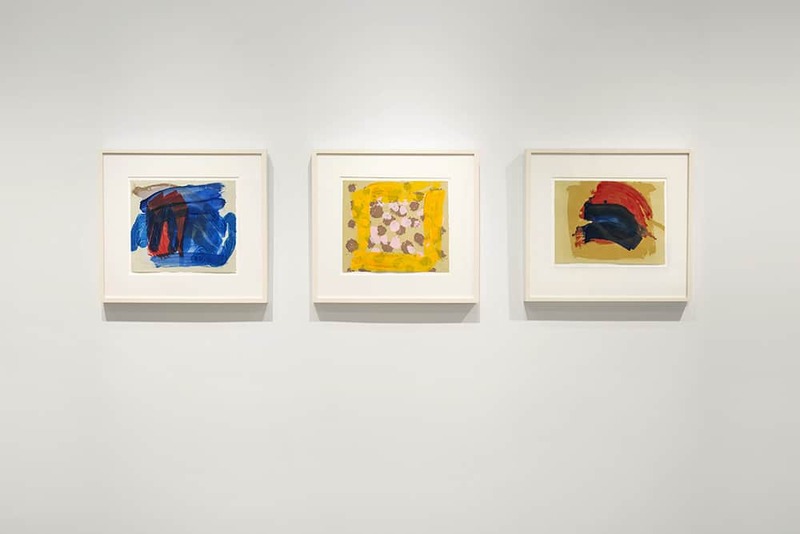 Hodgkin created each prototype within the After All series by a process of sugar-lift aquatint or carborundum relief, and painting. 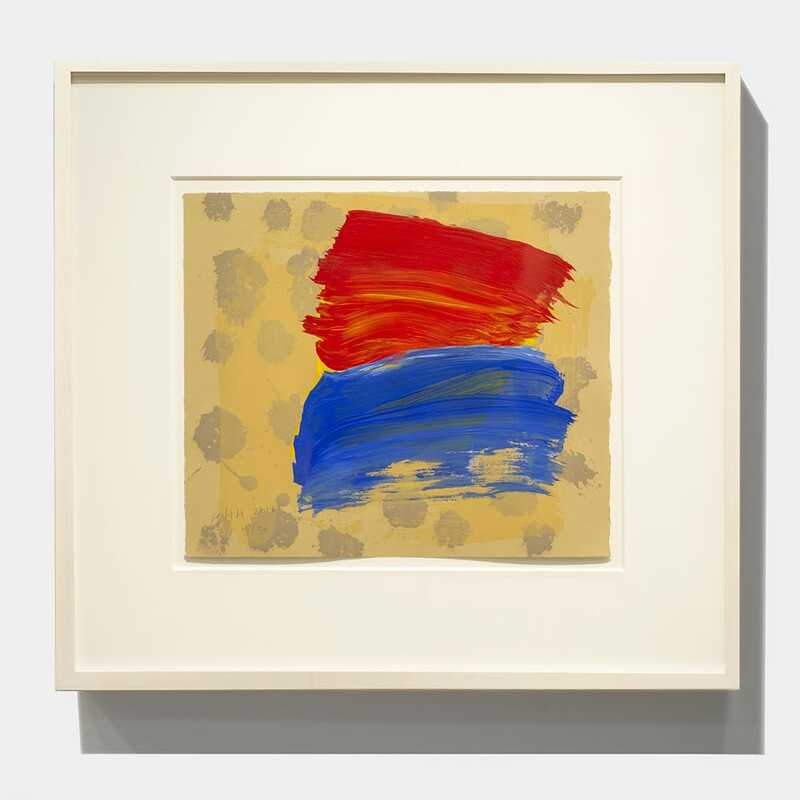 Because of the care taken in the process, no two works in an edition are exactly the same. 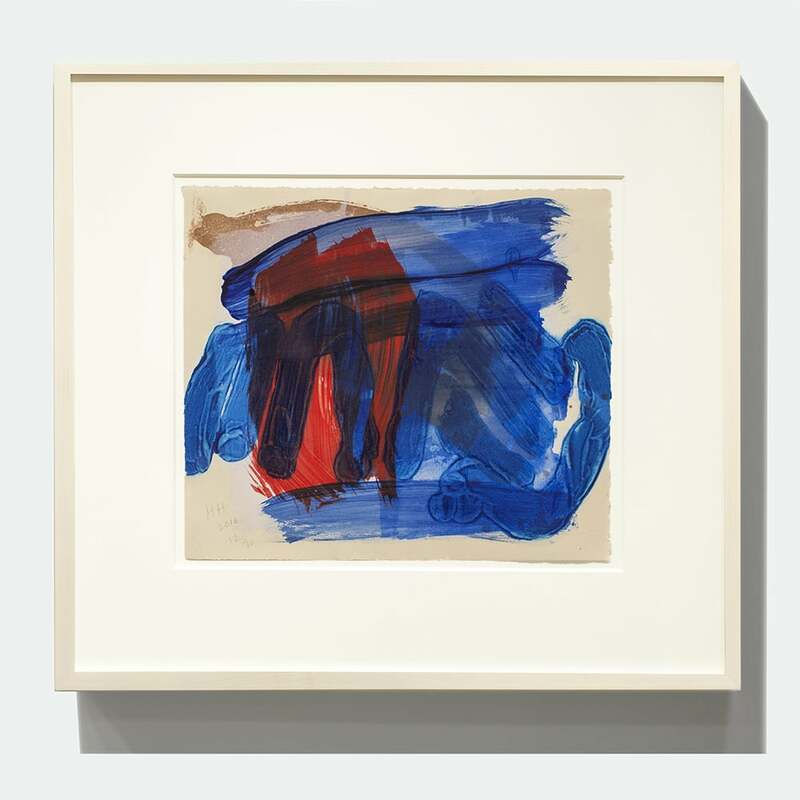 All share the passionate, emotive core of Hodgkin’s natural expression and are a tribute to life itself.